"Dual-band, 200 channel Part 90 commercial transceiver w/ Alpha-Numeric Display and True Dual Receive (V+V, U+U, V+U). Ideal for Fire, Search & Rescue, EMS, Sheriff, Forestry and Security operations. Includes dual control volume knobs. 136-174/400-470 MHz. 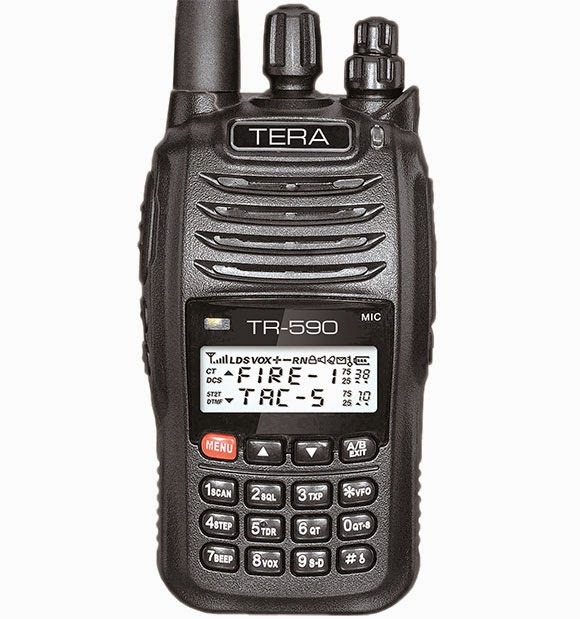 TERA TR-590 is a rugged, high-performance, simultaneous dual receive VHF/UHF commercial handheld transceiver with a six character back-lit alpha-numeric display providing up to 5 watts of RF power. Allows reception of two communication channels simultaneously (V+V, U+U & V+U) in dual receive mode. Single receive mode is also available. Controls the main and sub band speaker audio independently. 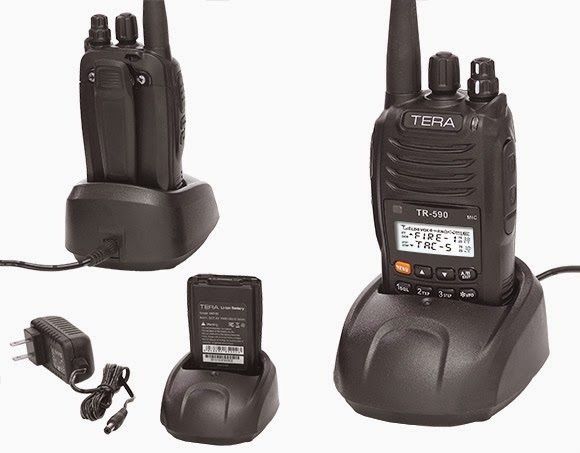 Ideal for critical communications. Store up to 200 memory channels with back-lit LCD display. User programmable 6-character alpha-numeric display. Backed with an industry leading 2 year limited warranty. Supported and serviced in the USA." It looks like a Baofeng UV-B5 ! Does anyone know if the programming software is downloadable? My computer has no CD drive and would rather not have to buy one for just this software. PMLynn@me.com if anyone can help!